A COMPANY BUILT BY HAND. Ronald Kaye and Ray Dufty had a vision. To create a roller utterly unlike any other. 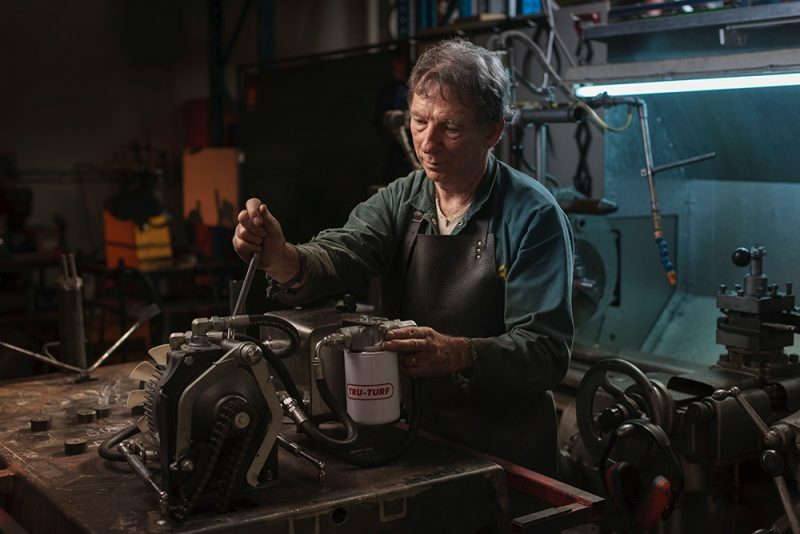 When they joined forces in Ronald’s Australian workshop more than 30 years ago, they devised a revolutionary design which drew upon Ronald’s decades of experience and Ray’s engineering prowess. A minimal-footprint roller that would produce a superior putting surface more quickly, more meticulously and with less operator effort than any other machine. 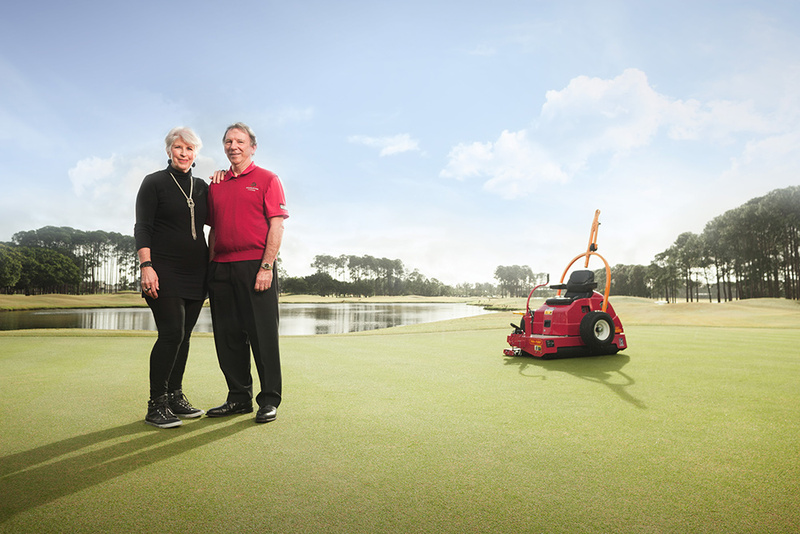 After Ray, with partner Dorothy Rix, formed Tru-Turf in 1989, the two directors set out on the road to take their machines to the world. They themselves demonstrated their rollers at trade shows the length and breadth of the US and throughout Europe. Initial scepticism – particularly in the face of an aggressive response from much larger competitors – rapidly gave way to orders from the head groundsmen of some of the northern hemisphere’s prestige courses. Despite the directors focusing on product development and quality control rather than marketing, word spread, and groundsmen referred their colleagues to Tru-Turf. Invariably, a live demonstration immediately converted these experts to the Tru-Turf method. The PGA selected Tru-Turf as their roller of choice. St Andrews – the spiritual home of golf – purchased Tru-Turf machines. As did Augusta and Pebble Beach, routinely rated as two of the best course in the world. Others followed. The legend grew, yet Ray and Dorothy’s single minded pursuit of perfection; their obsessive focus on quality and customer satisfaction remained, despite the company now selling rollers in more than 50 countries. 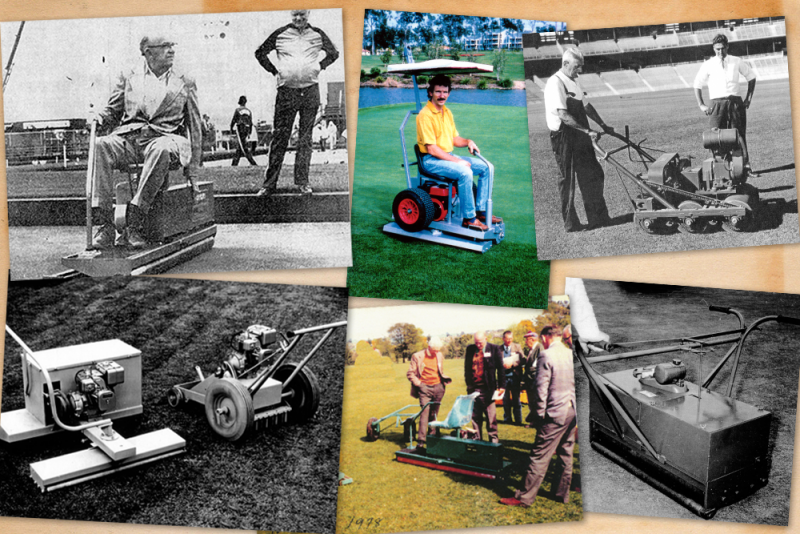 For Tru-Turf, time rolls on, but some things don’t change. THAT’S THE WAY THE REST OF THE WORLD ROLLS. BUT NOT US. We’re often asked why we’re the only people in the world who build rollers this way. We think it’s because our high-investment, hands-on, research-intensive way of doing things is seen as uneconomical in a hard-nosed global marketplace. Larger companies are locked into a production model based on volume and manufacturing efficiencies. We’ve created a company from the ground up – based on our obsession for engineering excellence and a personal pride in the solutions we deliver – so we’re free to design and make our own componentry, prototype, test, research and re-test our products for as long as it takes to make them perfect, and listen hard to exactly what it is that our customers want. It’s not fashionable, but when you see the results out on the course, it makes sense.